● On 11 March, the 2019 ISH will open in Frankfurt am Main, Germany: More than 2,400 international exhibitors will present their bathroom and kitchen novelties and other innovations. ● For the first time ever, GROHE will position itself as a leading global brand for complete bathroom solutions, kitchen systems and intelligent water management. ● As part of a new concept for their trade fair booth, GROHE will clearly put the consumer at the centre of attention, using three themed environments to present their different solution and design concepts. Düsseldorf, Germany, 31st January 2019. GROHE, a leading global brand for complete bathroom solutions and kitchen fittings, will be showcasing a record number of innovations at the ISH, the world's leading trade fair for the responsible use of water and energy in buildings (11-15 March 2019). For the first time, GROHE will position itself as a leading global brand for one-source bathroom solutions, kitchen systems and intelligent water management. In doing so, the brand is raising the motto Water. Intelligence. Enjoyment to a new level, and in addition to new product launches, the element of water becomes the new focus of innovation. GROHE's CEO Michael Rauterkus will give a keynote speech at the beginning of the trade fair to share his vision of how GROHE actively shapes the future of water; including, among other things, the valuable resource’s digitization or intelligent water management. In the past year, GROHE has evolved from a mere hardware manufacturer into a driving force of digital transformation within the sanitary industry, offering its own Internet of Things (IoT) products. 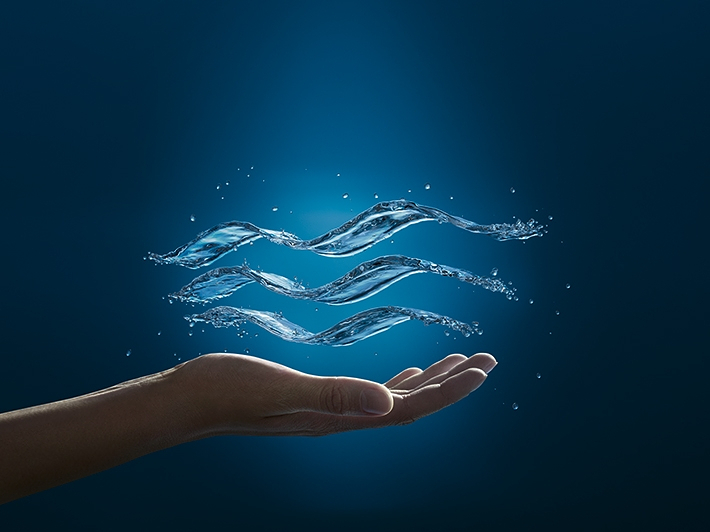 The smart water control GROHE Sense Guard has arrived in the world of the smart home and secures the brand a place among the Top 100 Insurtechs in the Digital Insurance Agenda . Digitization is ever impacting new areas of our lives. The change from a smart home to an intelligently connected home will be the subject of discussion during a high-profile ISH panel session on Wednesday evening: At the "Intelligent Living Summit", GROHE together with the German companies Miele and Viessmann will speak in front of the invited audience about how your home can support your life in various and intelligent ways. With the increasing importance of the bathroom becoming more of a living area, more and more often a design is required that fits in with individual concepts. Visitors of the GROHE booth at the ISH will find inspirations to create their own personal spa. These include minimalist ceramics lines that perfectly match GROHE bathroom products in form and function, as well as the GROHE Colors Collection, a range of GROHE faucets and accessories in ten different colours and finishes that allow the utmost possible creative freedom for individualizing the kitchen and bathroom. Even behind the wall, GROHE can offer innovations with considerable added value to both installers and end users. The new GROHE Rapido SmartBox provides installers, architects and planners with an infinite number of solutions, using just one flush-mounted unit. It can be used universally for all of GROHE’s final assembly sets, regardless of whether it is a single-lever mixer, thermostat or SmartControl. The GROHE Rapido SmartBox features three outlets for a wider range of shower options and an ideal showering experience, easy installation thanks to inlets for hot and cold water that are connected from below, subsequent adjustment options by up to six degrees, a minimum installation depth of only 75mm and other benefits that visitors can experience directly at the booth or in the GROHE XXL Experience Truck. Today, as one of the most successful brands for kitchen systems and a one-stop shop for the perfect combination of kitchen fittings, water systems and sinks, GROHE has also arrived at the heart of the house, the kitchen. The GROHE Blue water system provides filtered and chilled water that is either sparkling, less sparkling or still, and GROHE Red delivers boiling hot water directly from the tap. The SmartControl technology, which has already been successfully launched in the bathroom, will also make its way into the kitchen. Caption 1: The new GROHE Rapido SmartBox provides installers, architects and planners with an infinite number of solutions, using just one flush-mounted unit. Caption 2: The GROHE Colors Collection allows the utmost possible creative freedom for individualizing your kitchen and bathroom. Caption 3: GROHE Sense Guard even takes it one step further: Installed directly in the main water line, it can automatically stop the water supply if, for example, a leak has been detected. Caption 5: The minimalist ceramic lines from GROHE match perfectly with the GROHE bathroom products in terms of form and function.